Across The Pond Wrestling: Five Questions With...Erik Vasquez from The Wrestling Chronicle. Five Questions With...Erik Vasquez from The Wrestling Chronicle. After last week's interview with British Wrestling Radio's Dean Mitchell, it's time to join our cousin Across The Pond with Erik Vasquez from The Wrestling Chronicle. Known For: The Wrestling Chronicle, Co-host of the Piledriver Podcast. 1. How did you first get into professional wrestling and what was it that drew you to the sport? My love for wrestling was passed down to me by my father. He wasn't around much when I was a child but wrestling was one thing that stuck with me. Some of my earliest memories of life revolved around wrestling. I remember being fascinated by the synchronized tag team moves of The Rockers and of course I was a huge Hulk Hogan fan. To me it was like watching live action cartoons and even as a kid it was easy to follow. As a grown up, it's evolved from live action cartoons to a male oriented soap opera! But it's something I don't think I'll ever let go of. 2. 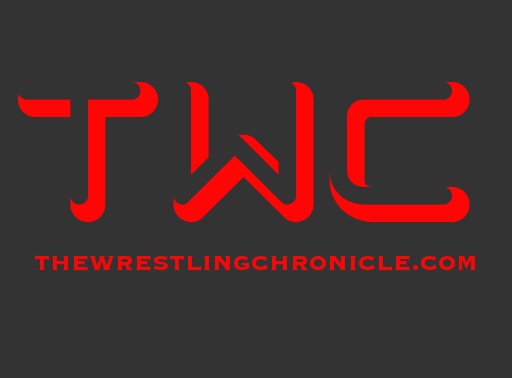 Tell us a little about the Wrestling Chronicle and how it came about? The Wrestling Chronicle was an idea I kind of always wanted to do I just never had the reason. I was born with cerebral palsy so becoming an actual wrestler for the WWE for example was out of the question. I loved wrestling so much that I had to come up with a way to be apart of the wrestling world, a place where I felt I belonged. So I figured if I can't perform why not write about it! I've always had a hard time coming up with topics to write about but I remember this past Royal Rumble being so anticipated and the fact that CM Punk lost the belt to The Rock who was only in wrestling part time the first article kind of wrote itself. Usually when I start various writing projects over time I get bored and discontinue them. The Wrestling Chronicle has gotten such a great response that I feel like it'll be here for a very long time. At first it started out like many other wrestling sites, delivering news, rumors, and such and I found myself almost getting to that point of boredom simply because that's what everyone else is doing. If I want to make a name for myself I have to be different. So now TWC has evolved into a site where if you enjoy wrestling and feel like you can write about a topic you can send it over and 9 times out of 10 I'll post it up on the site. It's a legit portal for those to voice their opinions on the sport we love. All articles posted are meant to create healthy discussion and debate. So now that's what the site has become, place where wrestling fans who love to write and for fans to find opinions from every spectrum. The podcast itself is just another avenue to express my own opinions along with friends. The show is not scripted or planned, it's just dudes talking about wrestling. I try to get as many fans to be apart of the show with questions and such because everything I do I don't want to feel like it's just my own. I'm a fan like everyone else. I don't have aspirations to be the next Colt Cabana of podcasting, I am just truly having fun with it. 3. If you could revive one thing from wrestling's past, what would it be and why? I don't know if I'd ever have anything revived to be honest, that's the beauty of wrestling. As an adult now and with the internet being around as much as television it's a lot of fun just to look back on certain things from wrestling's past and remember what life was like for yourself at the time. There's been countless times where I'll be watching a YouTube video from the Attitude Era and not only do I reminisce about that but I remember all the other stuff too. School, friends, trends, all of that. But how can we have that moment if we don't let things die? And how can we be proud of how wrestling has evolved if we don't let it? There's tons of old wrestling that I miss but not enough to bring back any of it. I'm all about the future and seeing what new stars can wow and how wrestling can be different. I've been a wrestling fan for over 20 years. For me to choose three would take me an entire day no joke. I have tons of favorite matches and to come up with just three might drive me to insanity! I will tell you my all time favorite would be Shawn Michaels v. The Undertaker at Wrestlemania 25. Those men told a story not with words, but with action. It was truly one of those matches where either man could have won and no one would've been able to say the winner didn't deserve it. And you didn't know who was going to win until the 3 count, all of those to me make a classic match. Thanks to Erik for this superb interview.